Grit your teeth and hold on! HARMAN’s DOD today announced the introduction of its Boneshaker distortion pedal, created to deliver massive gain and supercharged with a 3-band parametric EQ section. Legendary pedal guru Mark Wentz of Black Arts Toneworks designed the Boneshaker’s circuit specifically for extended-range guitars, baritone guitars and bass, to shake the audience to the core with crushing low-end impact. The Boneshaker’s Distortion knob adjusts the amount of distortion applied to the signal, from a taste of added grit to massive amounts of gain. The Depth control increases or decreases the overall low-frequency “growl” of extended-range instruments. 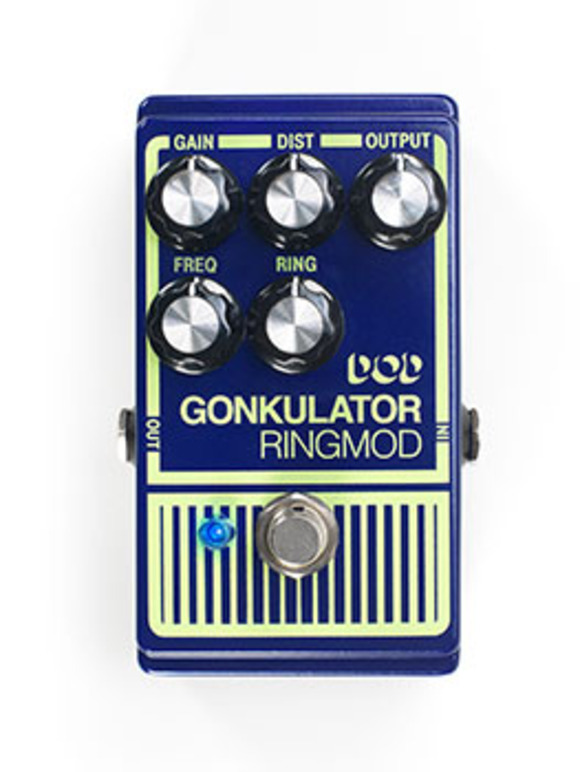 The Level knob adjusts the overall volume level of the distortion effect, and can add a huge volume boost if desired. The Boneshaker’s 3-band parametric EQ allows the player to dial in his or her tone for any amount of gut-churning lows, bare-knuckle mids and cutting highs. Packing an incredible amount of tone-shaping flexibility into a small space, the Low, Mid and High controls have stacked knobs, one that selects the amount of boost or cut for its frequency range and another knob that selects the center frequency of the EQ. Like all DOD pedals, the Boneshaker offers true bypass operation to keep the tone of the instrument pure when the effect is not in use. 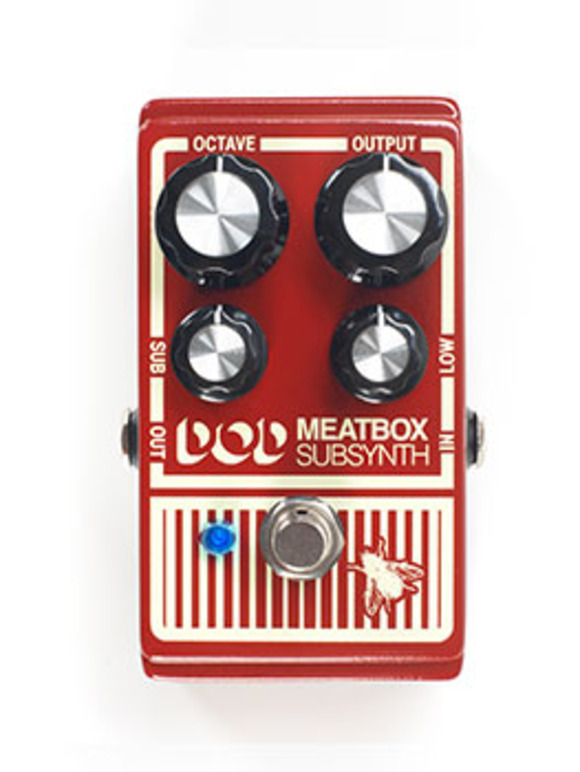 The pedal can be powered by a 9-volt battery or the optional PS200R power supply. For adventurous players who aren’t afraid to experiment, the Boneshaker stacks well with other overdrive/distortion pedals and fuzz. The Boneshaker looks as unsubtle as it sounds, with a road-tough black metal housing and graphics that would look right at home on a custom chopper. 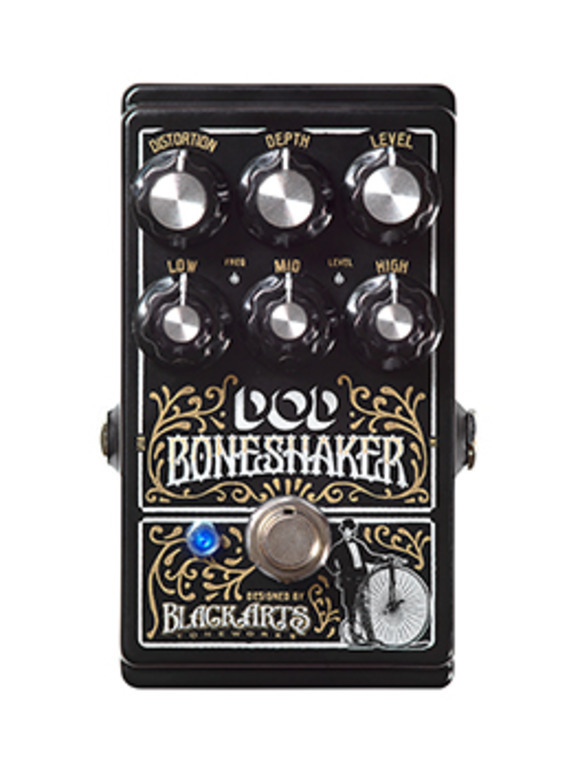 The DOD Boneshaker overdrive will be available in March 2015 at a suggested retail price of $187.44.